Russian correspondents detained by Libyan opposition forces near the city of Ajdabiya were released on Friday evening after several hours of detention. Russia’s newspaper Komsomolskaya Pravda (KP) says that their special correspondents Dmitry Steshin and Aleksandr Kots managed to make a telephone call and report that they had been released. The three-man crew of Russian broadcaster NTV, consisting of correspondent Yury Kuchinsky, producer Aleksandr Viktorov and cameraman Aleksandr Bolotnikov, is also reported to have been set free, according to Russia’s news agency RIA Novosti that refers to NTV’s press service. On being detained, all the five correspondents were taken to Benghazi, the opposition’s stronghold. KP journalists reported that they were kept at a military base near the city. The rebels took away their documents and equipment, but did not provide any explanations. They seemed to want to make sure that the journalists were not connected with Gaddafi’s forces before letting the correspondents go. KP’s Deputy Editor-in-chief Andrey Baranov stated that Kotz and Steshin were captured by the rebels at Ajdabiya’s gate.The journalists were on their way to Ajdabiya to estimate the current state of affairs there. “The rebels put them through a long interrogation. Neither press ID cards, nor camera permits have produced any impression on the rebels,” said Baranov. Russia’s Foreign Minister Sergey Lavrov said Russia’s ambassadors in Italy and Turkey have requested their Italian and Turkish colleagues to address the Libyans through their consulates in Benghazi to facilitate the journalists’ release, Russia’s news agency Interfax reported. "Of course, we are worried about the fact that our journalists have been seized in eastern Libya by the opposition,” Lavrov said on Friday. “I think that we can turn to the leadership of countries that reportedly might have their special forces on the ground. This is a serious matter, and we don't want to miss a chance which will allow us to successfully release our journalists." Russia's envoy to NATO Dmitry Rogozin addressed the alliance on Friday with a request to assist in the release of the captured journalists. 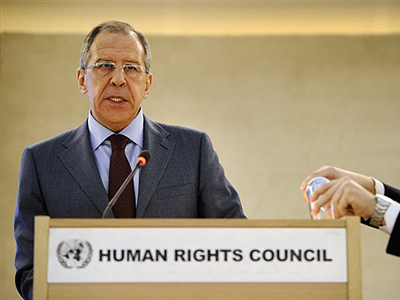 The UN office in Brussels received a request of the same nature, the Russian Foreign Affairs Ministry said. 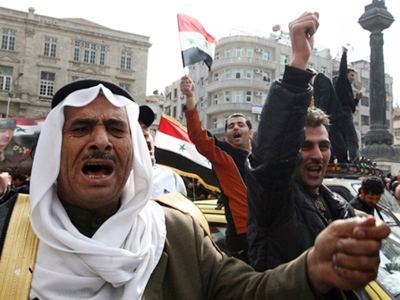 On April 8, Libya’s city of Ajdabiya was awash with fighting. 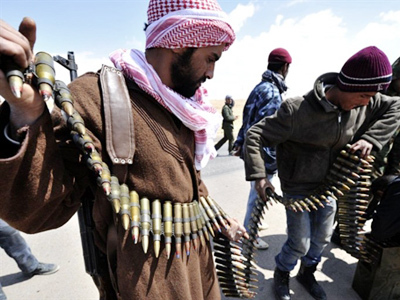 Thousands of rebels and civilians started making their escape to the city of Benghazi. 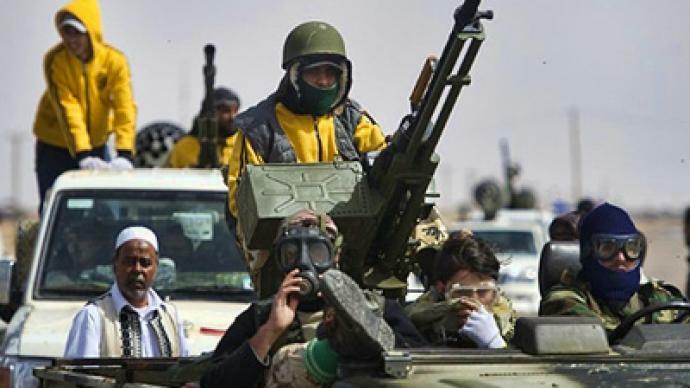 The massive retreat was caused by pro-Gaddafi troops rumored to be approaching the city. Opposition forces prohibited journalists as early as April 1 from leaving Ajdabiya, as the city was just 40 km away from what was then the frontline. 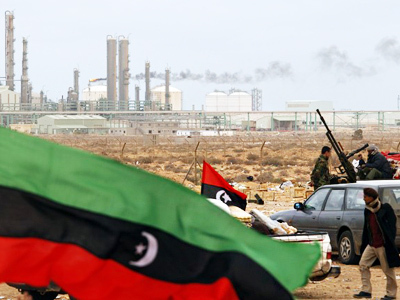 Ajdabiya, which is also called “Benghazi’s gate”, is the location of Libya’s National Council, created and proclaimed by the Libyan opposition as the official governing body of the North African country. Up to April 8, as many as 13 press representatives were captured or have gone missing in Libya, according to the Committee to Protect Journalists (CPJ). This figure includes four Al-Jazeera correspondents; two Agence France-Presse journalists; one Getty Image photographer and six Libyan journalists. Two press representatives were killed: a Libyan correspondent and an Al-Jazeera crewman. 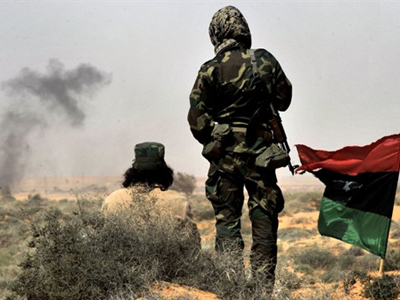 Four other journalists of The New York Times, who entered Libya without visas, were seized in mid-March in Ajdabiya and released on March 21 with the assistance of Turkish diplomats.